An air drill is neatly stored and ready to use for the next job. This scene depicts a quiet moment before the production lines fire up. As workers file into the space and the machinery comes to life, these tools will be used to engineer products. Visitors can learn about the production and uses of silk fibers and fabrics on this web page. Silk photos and relevant links are included on the page. Sparks fly off a line of silver cars at a manufacturing facility. 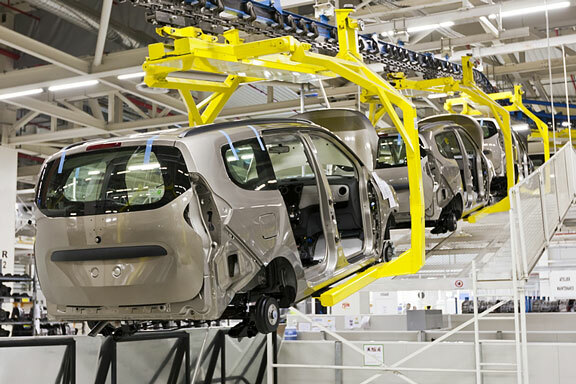 Robotic arms are automated to weld each car as it moves down the conveyor belt. This jewelry making collage illustrates various aspects of jewelry craftsmanship and production. ABC News. Fri, 19 Apr 2019 14:36:11 -0400. ABC News. Fri, 19 Apr 2019 10:17:11 -0400. Reuters. Fri, 19 Apr 2019 06:18:09 -0400. CNBC. Fri, 19 Apr 2019 01:18 GMT. Science Daily. Thu, 18 Apr 2019 15:36:44 EDT.